Dhokri is my comfort food… I ate a lot of it whilst growing up and could count on there being a plateful of dhokri at any given event. 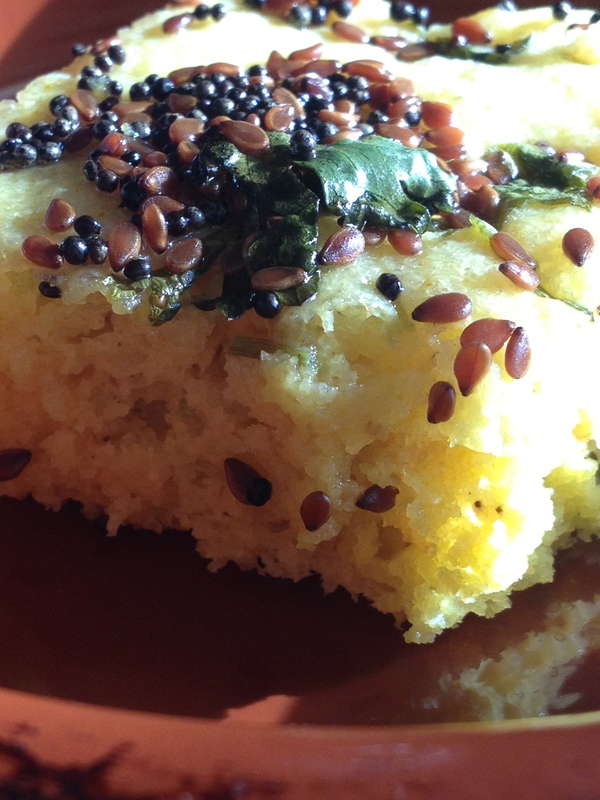 Apart from being a delicious mouthful Dhokri does make for the perfect finger food. The lemony yellow snack would shine away as if peeking out from behind a cloud – heavy with rain. The tangy sponginess accompanied by the snappy crunch of the sesame seeds, laced with the herby aroma of the cilantro will have you salivating unapologetically.